Munich – March 1st, 2018. FAZUA GmbH, a Munich-based company founded in 2013 and provider of the innovative evation drive system for e-bikes receives $ 8 million in a new financing round. Unternehmertum Venture Capital Partners (UVC Partners) leads the round with participation from existing investors High-Tech Gründerfonds, Bayern Kapital – with its Wachstumsfonds Bayern – and several business angels. FAZUA’s integratable drive system allows bike manufacturers to redefine their expectations regarding the design, weight and flexibility of e-bikes: the battery and motor become almost invisible in the down tube. As a result of the system’s minimal resistance, the bike boasts a natural riding feel, especially when striving for high-performance riding. Another positive aspect has been the superb feedback in the racing bike and performance segment. The evation drive system received a great deal of recognition so far: FAZUA won awards in three categories at the DESIGN & INNOVATION AWARD 2018 (Newcomer, MTB Components and Road). FAZUA, a Munich-based company founded in 2013, set itself the goal of revolutionizing the e-bike market. With the evation drive system, the team around CEO Johannes Biechele offers a product that is specifically designed for the demands of high-performance riding and offers the natural ride feeling of a non-motorized bicycle. Notable FAZUA customers, who are selling bikes with the evation drive system include CUBE, Focus, Bianchi, Fantic and Pinarello. Unternehmertum Venture Capital Partners (UVC Partners) is a Munich-based early-stage venture capital firm that invests in technology-based startups in Germany, Austria, and Switzerland. UVC Partners focuses on B2B business models in the areas of Industry 4.0, IoT, Manufacturing Technologies, Software & SaaS, Mobility and Smart City. The fund typically invests between 0.5 - 3 million Euro initially and up to 12 million Euro in total in successful startups. Portfolio companies benefit from the long-time investment and exit experience of the management team as well as from the close cooperation with UnternehmerTUM, Europe’s leading innovation and business creation center. With over 180 employees and more than 100 industry partners, UnternehmerTUM can draw from many years of experience in establishing young companies. Even though being fully independent, it enables UVC Partners to offer startups unique access to talent, industry customers, and other financial partners. The portfolio includes investments such as FlixBus, Carjump, KONUX, Blickfeld, 3YOURMIND and Vimcar. High-Tech Gründerfonds (HTGF) is a seed investor that finances high-potential, tech-driven start-ups. With EUR 886 million in total investment volume across three funds (EUR 272 million in HTGF I, EUR 304 million in HTGF II, and a targeted volume of EUR 310 million for HTGF III) and an international network of partners, HTGF has already helped forge close to 500 start-ups since 2005. Driven by their expertise, entrepreneurial spirit and passion, its team of experienced investment managers and start-up experts help guide the development of young companies. HTGF’s focus is on high-tech start-ups in a range of sectors, including software, media, internet, hardware, automation, health care, chemicals and life sciences. To date, external investors have injected over EUR 1.5 billion into the HTGF portfolio via more than 1,200 follow-on financing rounds. HTGF has also successfully sold interests in almost 90 companies. Bayern Kapital GmbH, based in Landshut, was founded on the initiative of the Bavarian government in 1995. It is a wholly-owned subsidiary of the Bavarian LfA Förderbank. 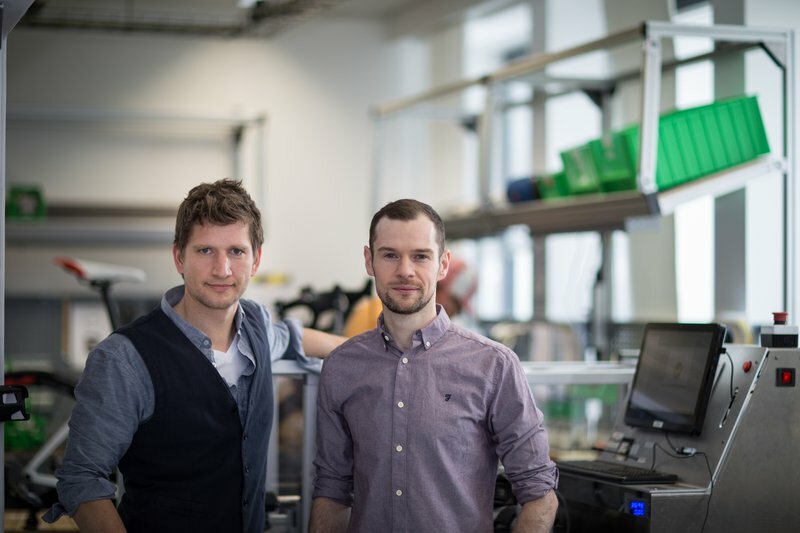 As the venture capital organisation of the Land of Bavaria, Bayern Kapital provides equity capital financing for the founders of young innovative technology companies in Bavaria. Presently Bayern Kapital manages eleven investment funds with a total volume of around €340m. So far, it has invested almost €260m in more than 250 innovative companies in the fields of technology in various sectors including life science, software & IT, medical technology, materials and new materials, nanotechnology and environmental technology.